A bay with turquoise waters and fine white sand, surrounded by Mediterranean scrub bushes. Halfway between Palau and Santa Teresa Gallura, near the mouth of the Liscia, Porto Pollo (Portu Puddu in Gallura dialect) unites mainland and the beautiful Isola dei Gabbiani (or Isuledda) through a thin strip of sand. 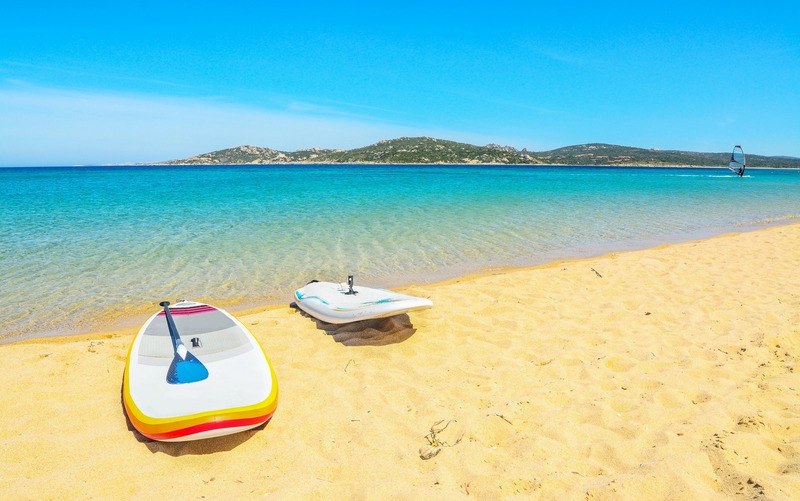 The two isthmus beaches (the second is called dell’Arenaria) fan out with dunes covered in lavender, mastics and juniper trees, and are a natural gym for water sports. 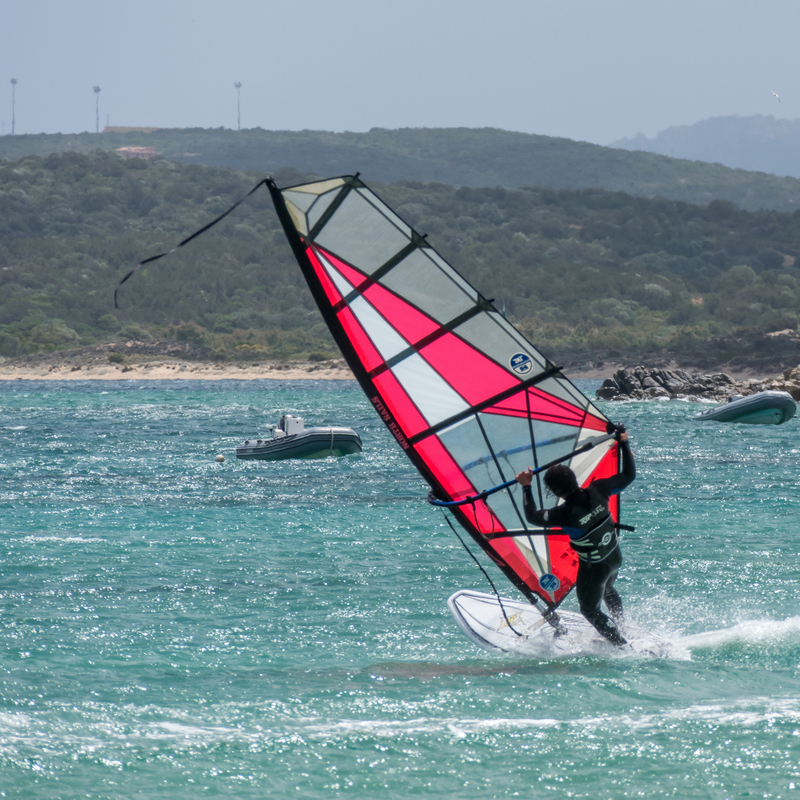 The area is constantly hit by winds, sometimes strong ones, which is why it is a particularly popular destination among sailors and practitioners of windsurfing and kite surfing. Somewhere along the bay, there will always be perfect surfing conditions, alternating with flat sea somewhere else. 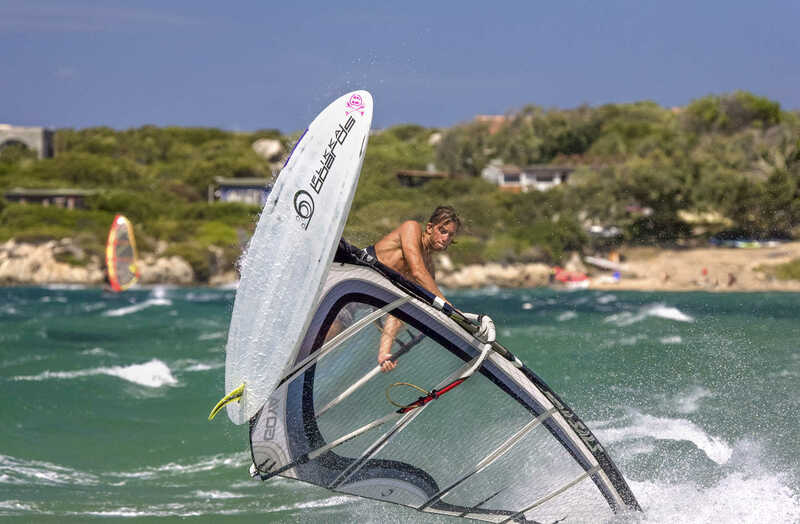 For those who love windsurfing, hair-blowing wind, full sails and white foam on the waves are a constant in this beach, as in nearby Barrabisa. For those less interested in sports or looking for relaxation, enjoy calm days and poetic sunsets, sheltered from the wind. The bay is very popular. It offers plenty of parking (for campers as well) and is accessible to disabled persons. Thanks to its shallow bottom, it is suitable for children. 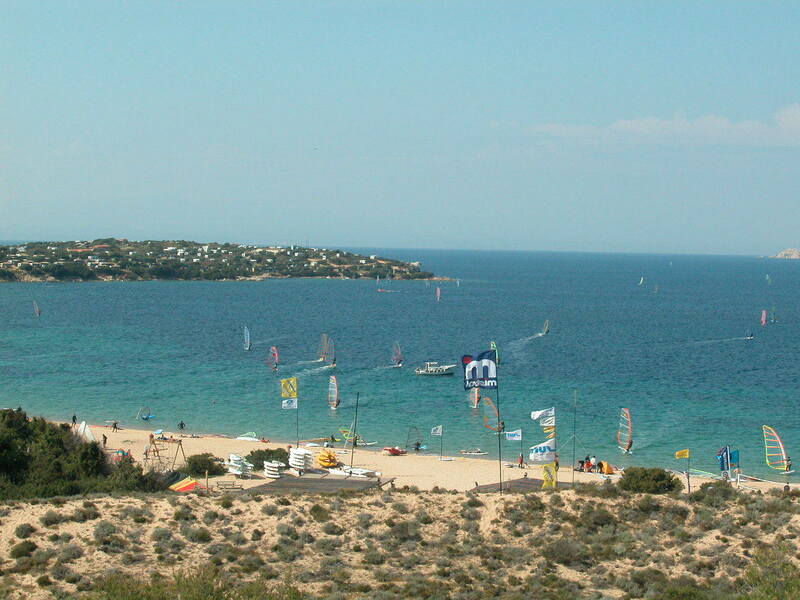 It is possible to rent umbrellas and other beach equipment, and there is also a windsurfing and sailing school. Bars, restaurants, hotels and camping sites are immersed in secluded rocky coves, surrounded by the colours and smells of the Mediterranean scrub, characteristic of the Gallura coast. Do not miss the chance to visit all 18 hectares of the naturalistic paradise of Isola dei Gabbiani, and, nearby, visit the other treasures of Palau: the wild beauty of Punta Sardegna, the exotic appearance of Cala Trana, splendid Porto Faro, and the natural monument of Roccia dell’Orso. Admire the view offered by the islands of the Maddalena Archipelago. The indication of the beach is well signposted along the SS 133bis main road, going over the bridge on the river Liscia. Do you like this place? Palau and Santa Teresa Gallura could be your ideal destinations.